Of course, you need to get started on the road to stress-free accounts somewhere! You need to send your tax return online – and quick! 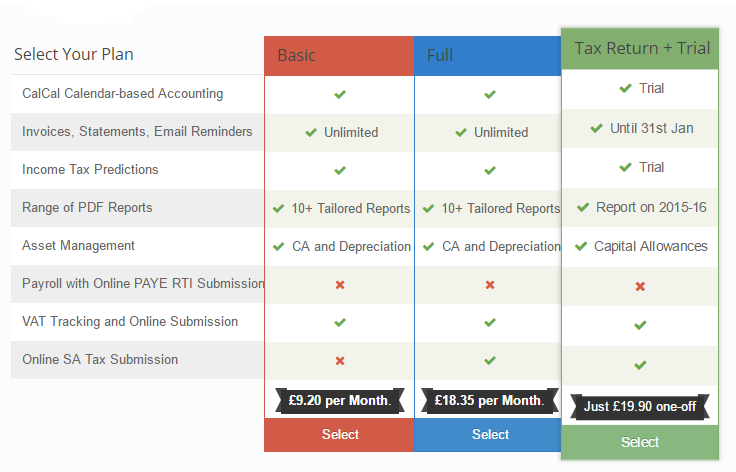 Use CalCal to submit your tax return simply and easily. Then enjoy our free level. Enter your transactions into CalCal as they come and next year you’ll be ready to send off your return on 6th April!